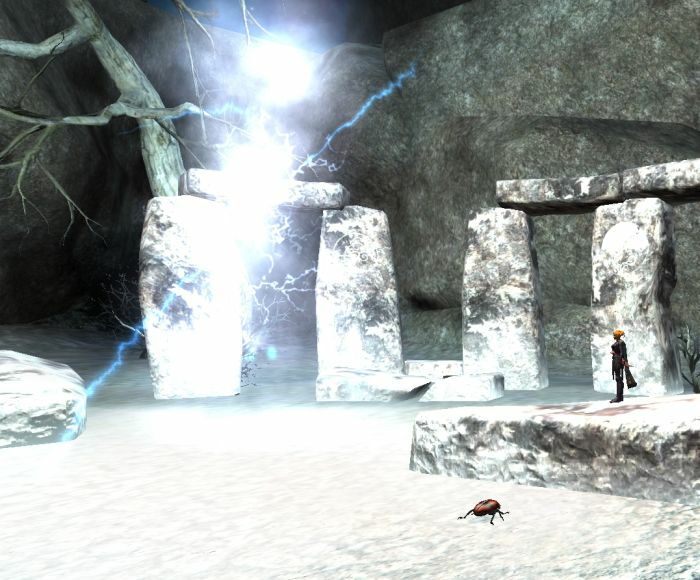 Chains of Eternity #EQ2 #EverQuest2 – Nomadic Gamers, eh! I did my first pre-quest to the expansion yesterday and I don’t want to spoil the story but I did get a very nice level 92 necklace out of it. I completed it on my swashbuckler, Jacquotte, who is the only level 92 character I have at the moment. The rest of my characters are still sitting at a dismal level 90, most of them not having the required 280+ aa in order to progress further. A handful of them are close, hovering between 230-250aa and that is what I spent most of my game time this weekend working on. Inching them further and further. Except the bard, who I betrayed from Troubador to Dirge. Again. This is probably the .. 20th? Time I’ve betrayed that specific character back and forth. I’ve written about it a lot, too. I’m thinking of betraying my shadowknight to a paladin as well for the simple fact that there are a billion SK out there. I know, not exactly a good reason. I do enjoy the ‘fresh’ feeling my characters get when I betray them though. There are two overland zones being added, the Obol Plains and The Eidolon Jungle. I was hoping for more than two, but that seems to be the norm with expansions lately. At least this is an actual expansion and not just a content update. There are also 9 new dungeons, and a lot of new quests which I look forward to completing. The release for the expansion hasn’t been announced officially yet, but it’s speculated to be some time in November. Fan Faire (now known as SOE Live) starts in just a handful of days and I’m sure we’ll be hearing much more information as time goes on. Maybe he didn’t mention the ‘new art/contents creation pipeline’, but well I’m also excited =) So I think I’d be nice to have fewer, but a lot larger zones from now on. RIFT expansion is where it is at for me. Although I want to do Riders of Rohan I have time for one game and RIFT will have to be it. Betraying my Dirge over to Troub to see the new(ish) Freeport content remains near, but never at, the top of my to do list. Someday I suppose? It sounds pretty tedious to me. If there’s one thing I really, really don’t want more of in any MMO it’s undead. Ghosts and spirits are a marginal improvement over zombies, which I would happily never, ever see again anywhere, but that’s about the most positive thing I can say. The whole “two overland zones and a bunch of dungeons” ran out of steam years ago and much though I love a level-cap rise, the new way of doing it in dribbles of two or three levels that each take as long to do as several old levels just seems silly. The rest of the expansion…well, there isn’t any more, is there? That’s your lot. I thought Age of Discovery was a superb expansion, the best EQ2 has ever had. I got incredible use out of it and it led me to play EQ2 solidly for almost a year longer than I expected. I was so pleased to think that would be the kind of expansion we’d be getting from now on and it’s so disappointing to see them row back to the old, tired model. Doesn’t matter much to me though because I won’t be buying it anyway, or not for a good while. I’ll be in GW2 and Rift come November.